Chances are you haven’t heard of the action-platform game, Conker’s Bad Fur Day, as it was released on a Nintendo console. The Nintendo 64, towards the end of it’s lifespan. 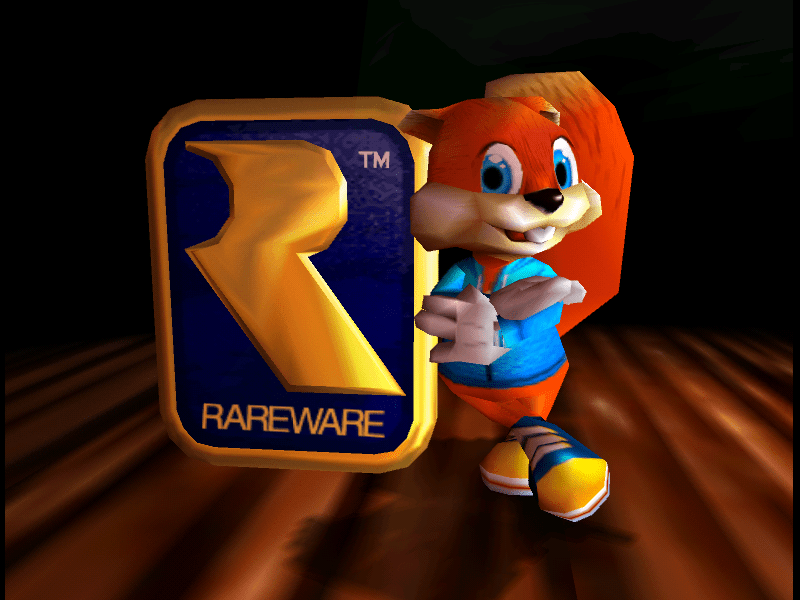 Released in 2001 and developed by British developer Rare, known for such classics as Banjo-Kazooie and Donkey Kong. A relic from a bygone era, when Rare had the freedom and magic under the control of Nintendo to create big games. This one however didn’t go down too well with Nintendo. Nintendo being quite a family oriented entertainment company. 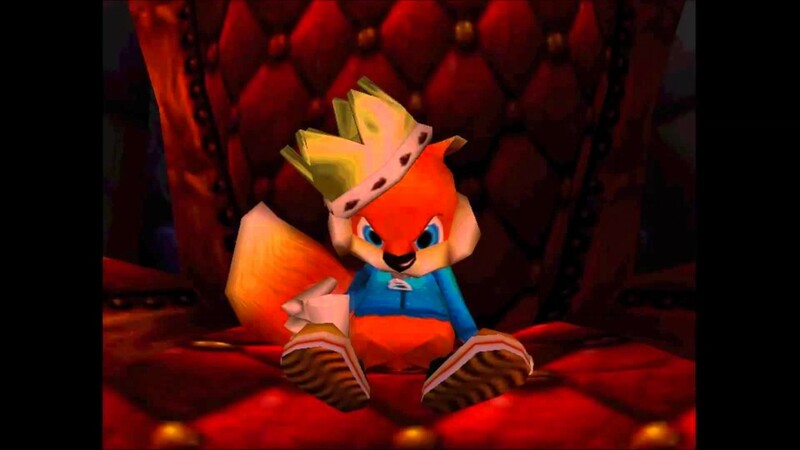 With deceptively childish aesthetics, you might pass Conker’s up for being a kids game but dig ever so slightly deeper, and it immediately becomes apparent it isn’t. It was marketing for adults, even the box was equipped with a warning to parents that the game wasn’t suitable for children, and it shows.Featuring adult related themes including graphic violence, sexual themes, strong language, and toilet humour. The game stars Conkers the Squirrel. A greedy, heavy-drinking red squirrel who is attempting to return home to his girlfriend Berri after a night of binge-drinking with his mates. Many parts cleverly draw from films and popular culture. The war level a nod to Saving Private Ryan and even the intro a tribute to A Clockwork Orange for example. 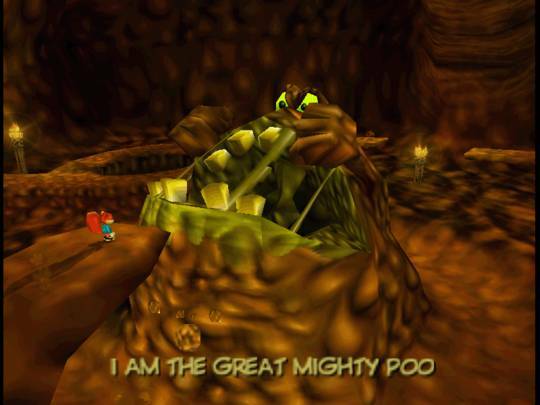 There’s one particular level synonymous with Conker’s fans, and that’s The Great Mighty Poo boss battle. Yep, poo. A giant opera-singing lump of faeces. Definitely one of the most inventive and hilarious boss battles in the history of gaming. To defeat him you are to throw toilet roll into his mouth as he opens it to belt out his singing voice until eventually defeating him and flushing him away. A distinctly British sense of humour and charm. Many characters speaking and swearing in daft British accents. comically out-of-place and unexpected in the bright, colourful cartoon world which looks like it belongs on CBeebies. The soundtrack is also a clever layer connected to the adorable look of the world. Often cheery melodies play in the background as you explore each level, each with a unique flavour. A remake was made for the original Xbox released in 2005 which looked great presentation wise but was hounded by fans and critics for censoring the original work such as the “Great Mighty Poo” song in the Sloprano chapter, which ended up losing a lot of it’s comedic highlights. The game has a cult following but ultimately, this game didn’t get the full appreciation it deserves. If you can tolerate some very dated graphics by today’s standards and can get your hands on an old Nintendo 64 or an emulator, you will be rewarded with a unique, quirky and incredibly funny adventure. It’s extremely unlikely we will ever see a sequel to Bad Fur Day but praise be we have such an audacious and ludicrous game to still appreciate and enjoy years later. There’s been nothing quite like it since.